When it comes to Inbound Marketing, the world is shifting. But how should you approach your company’s inbound strategy? 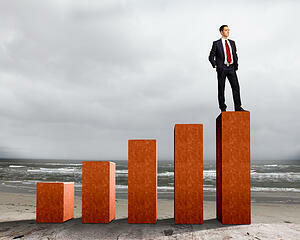 How do you ensure the success of your inbound marketing efforts? If you’re reading this because your organization is transitioning to inbound, then congratulations, you’ve made the first step in the right direction! If you're here because you're interested in finding out what this whole inbound marketing craze is all about, welcome, we are excited to share with you! So how do successful inbound marketers reach success? Inbound marketing won’t magically happen because your organization decided to make the switch. Inbound marketing only works if you spend time crafting an overall goal and map out the ways in which you plan to reach those goals. Inbound marketing is a highly successful strategy, but it's important to take the time to plan and go back to the drawing board before you jump right in. We want to help ensure your success and this starts by making sure we have a solid foundation before we begin to execute. An essential step in the inbound marketing process is developing your buyer personas. As an agency specializing in inbound marketing, we often have clients come to us looking to implement an inbound strategy and redesign their website. Our first question to them is, "Do you know who your ideal customer is?" More often than not, the answer is no. And everything needs to map back to your buyer personas. While having a new, visually appealing website is great - you will not reach your highest potential if your website does not align with your buyer personas. We developed our onboarding process to help streamline this work. We quickly get to the heart of your business, identify your ideal customers, develop strategies to drive qualified traffic to your website and convert that traffic into leads. Ultimately, resulting in a higher ROI on your marketing investment. They're proud of their storefront. Your homepage is typically the first thing a viewer lands on, so it is important that the messaging is clear and concise, and that the design is easy to navigate. We like to think of your website acting as your best salesperson. It should be more than just a digital brochure. As we start to think about the design of your website, it often begins with the homepage. The goal of your homepage should be to not only attract visitors and keep them engaged with your content, but also to convert those visitors to leads. When we approach a web design project, we always map it back to the buyer. We make sure that the entire site is optimized for conversions by having clear conversion paths for different personas. By providing a clear path, you will effectively be adding visitors to your top-of-funnel, where they will then be nurtured through each step of the buyer's journey. Conversion paths will provide valuable content that aligns with your personas and leads them through the next steps after they have engaged with that initial offer. They know the value of a call-to-action. For many of us in the B2B marketing world, our immediate goal is to generate leads. Which means, there must be ways for us to capture leads. A simple example would be using a CTA on your website that leads to a landing page with a lead capture form. Your website should have an arsenal of “lead bait” such as downloadable content, demos, free trials, tools, webinar registrations, contact forms, support tickets, and much more! Use CTAs to direct leads to a landing page where they will find valuable content offers in exchange for their contact information. Once again, having buyer personas identified and conversion paths in place on the website is a prerequisite to this step. Your website should be engineered to generate leads effortlessly. Social media channels can go a long way in driving sales and creating brand awareness for your organization. Promoting and sharing your organization’s content on channels such as Facebook, Twitter, LinkedIn and Google+ will help to further promote your brand. Social media is also a great way to engage with your audience in real time, answering questions and building trust through social engagements. Following this model you can increase your circle of influence, building interest and trust in your brand and garnering loyal brand fans. When a loyal follower reaches the bottom of the funnel and speaks to a member of your sales team, they will feel much more confident knowing they are being contacted by a brand they have come to know and trust.